Below are my current appraisal fee schedule. 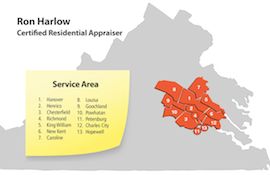 Should you have any questions about appraisal fees, the appraisal services I offer, my appraisal service areas, or anything else related to the appraisal process, please feel free to contact me at any time. Above fees include the Market Conditions Addendum.